Inspired by the contemporary blends from Italy’s Northeast, we returned to our Napa roots to craft our domestic interpretation, which resulted in this unique Pinot grigio based blend. The mature fruit was harvested in mid-to-late Sept, resulting in a very flavorful and expressive wine, due primarily to its extended hang-time. All the lots were cool fermented and without malo-lactic conversion. Post fermentation there was one racking, followed by a light fining, then racked again and filtered prior to bottling. 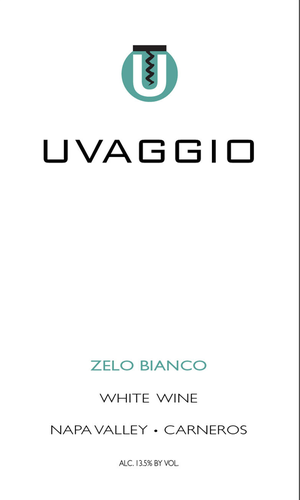 Broad, soft and lush; with floral aromas of honeysuckle and freesia, plus hints of ginger and lychee; with fruit flavors of meyer lemon and bosc pear; having a rich and supple finish.